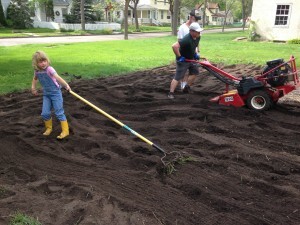 Last year we were fortunate to lease a community garden space a block from our house. We have always grown veggies, but as our trees mature in our yard we have less and less full sun for the plants to soak up. The community garden space is in full sun most of the day, score! 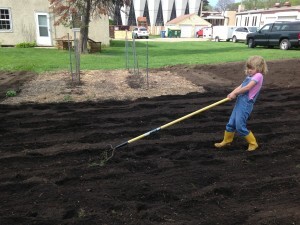 We leased a plot again this year and the kids were super getting all the manure tilled into the space. Our plants this year will include many many tomatoes, peppers, potatoes, broccoli, brussel sprouts, kale, onions, shallots, summer squash, beans, collard greens, cucumbers and lots of herbs. I’ll post pictures of the garden throughout the growing season, it is fun to watch it grow! 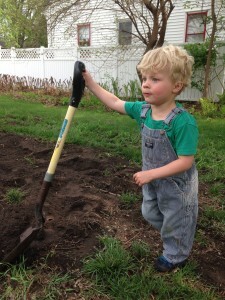 This entry was posted in life and tagged garden, jenniethepotter, life, littles on May 15, 2015 by Jennie.